The 1980s comes alive in the entertaining George Hencken documentary Soulboys of the Western World. 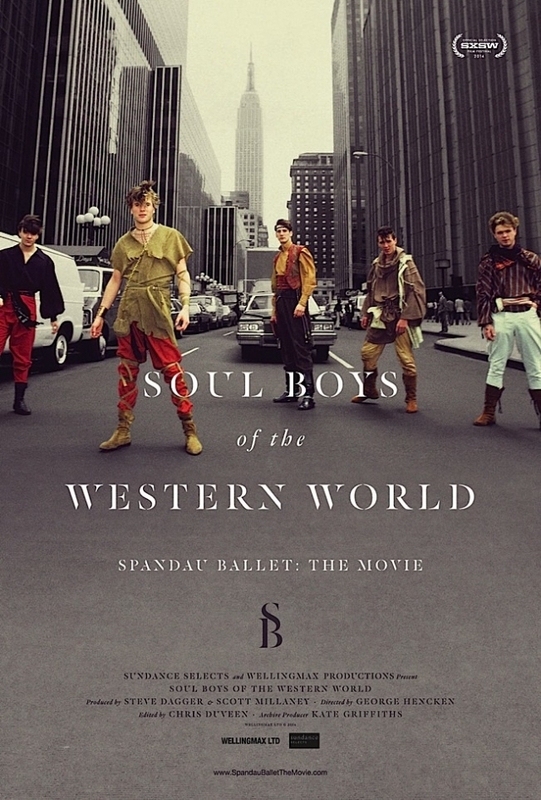 The hedonistic rise of the pop group, Spandau Ballet,and its disintegration is a mirror on a decade and a generation that was more interested in fashion and style than sociopolitical change. Though the all-male group trumpeted their working class roots extensively, they were far more interested in fashion and stylish looks at the time MTV was becoming a global force. It is noted that they follow in the tradition of “the dandy”, a well-dressed fashionable man who was not of the aristocracy. In a sense, as working class London club singers, they were defying a British societal norm. Activists, who can often be very solemn, should grant them that. Soulboys gets up close with all members, and you will inevitably be struck by the matinee idol charisma and gorgeous voice of lead singer Tony Hadley. Though his ego was pivotal in the group’s disintegration and the boys all partied more than was wise, their disintegration was not so much from decadence but from having been sheltered from the larger world beyond the screaming girls, the world travel, and the recording studio. As major as all that sounds, there’s still more to life. And we see how they had to try to come to terms with that. Trylon Microcinema, 2820 E. 33rd St., Mpls.